For a home addition contractor serving Upper Arlington, Ohio, NJW Construction builds room additions on any style home. There’s no need to buy a new home when we can help make your current space more livable at a lower cost, without incurring the expense and inconvenience of moving. Our goal is to help you remain in your current home – and neighborhood – comfortably. When selecting a local remodeling company to add a room to your home, contact NJW Construction today! From the initial consultation to the completion of your project, you can expect professional and courteous service from our creative design and build team. We also carry liability insurance and workers’ compensation for each employee working on any job; this ensures that you are in safe hands. If your family has grown in size, or you’ve simply accumulated too much stuff over the years, you need more space in your home! You can only reorganize and re-purpose for so long before you discover that you’ve outgrown your livable area. Building an addition to your home not only gives you more space, it also updates the overall look of your home and increases its value. Do you need more space in your home? 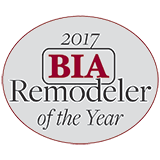 Whether you need a family room, master bedroom or mudroom, we strive to be the best home remodeling company to Upper Arlington, Ohio, residents. Our talented creative team can design and build a room with the look and feel you desire, at the right price for your budget. Need a room addition on your Upper Arlington, Ohio, home? Our contractors work with any style, and any age, of home to create the room addition of your dreams. We’re local and we take great pride in providing outstanding construction to our neighboring communities. NJW Construction will work with you to come in on budget and on time. Contact us today to tell about your project!